Are you ready for definition that's out of this world?! Have you ever looked at someone's hair pics on Instagram and thought, "man, they have a similar curl pattern to mine!" - but something was just a wee bit different? Almost like - somehow they hacked better curl definition, or they know some lil' secret you don't? Or maybe you're like me and just wondered how in the heck some of these folks got their hair to clump so perfectly, and spiral at the ends. Especially if you have multi-textured hair like I do. After watching fifty-leven YouTube tutorials and countless insta-vids, I realized that most of these folks out here are either shingling, using a Denman Brush, or are finger coiling to achieve curl uniformity, definition, and that perfect little spiral at the ends. It was...disappointing, to say the least. I don't have time (or the patience) for shingling and finger coils, and I tried to make the Denman work on several different occasions and got the same two results - too much hair pulled out, and bushy roots because the brush moved all the product to my ends. I never had super spiraled ends all over until this method. I'm happy to report that with my updated curl defining method, I'm leaving all of that behind. I've been working this method since March - yes, March! Check the receipt here. 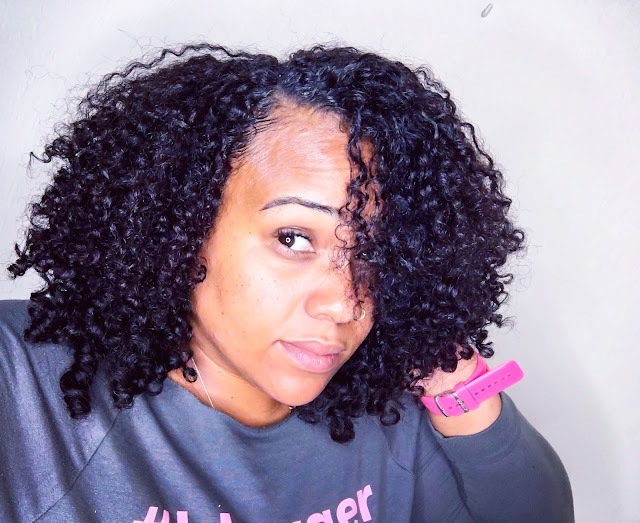 I've had plenty of time to experiment with different product combinations, and let me tell you - the results are absolutely amazing every single time. If you've been looking to improve definition, minimize frizz, and create a more uniform curl (as much as you can) - I've got something for ya. Put away the Denman Brush, and crack your knuckles in relief - because there will be none of that shingling and finger coiling around here. And it's all thanks to the Felicia Leatherwood Detangler Brush! This 9 row brush with widely spaced flexi-bristles was designed by none other than fellow LA girl and celebrity stylist Felicia Leatherwood. I've been wanting one forever, and finally got my hands on one earlier this year. Now that I've got it, I'll never let it go. And the video below reveals why. Split hair into workable sections, clipping away hair that's not in the section you're currently working on. Working in small sections, apply curl definer of choice from root to ends. Be sure there is adequate product coverage throughout the entire section, especially at the roots. This is how you prevent puffy roots, folks! Alternate between raking and smoothing the curl definer through the section for even distribution. Detangle the section gently with the Felicia Leatherwood Detangler Brush (if necessary), starting from the ends. Hair should be coated in curl definer and fully detangled before moving to step 4. Starting from the mid-shaft of the hair, pull the section of hair taut and place the brush through the section, bristles facing away from your face. Make sure that the hair is as close as possible to the base of the brush bristles. Starting from the mid-shaft alleviates a common issue with brush styling - puffy roots. It leaves the product at the root of the hair untouched. A closeup on the definition! 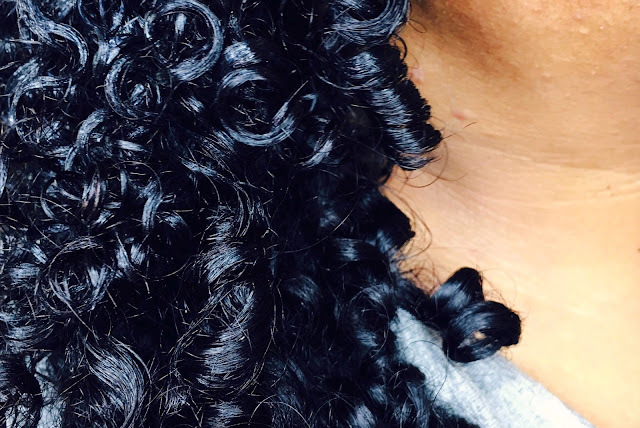 Curls on curls on curls. In a motion similar to 'bumping' hair with a flat iron, begin moving the brush down the bottom half of the hair, turning it completely inward as you go down. The hair should pass along the flat backside of the brush in the process - almost curling around the brush itself. Complete this motion all the way through the end of the hair. Scrunch the ends gently if necessary. The turning of the brush combined with passing the hair along the back side of the brush creates enhanced definition and a smoother curl. The spacing of the bristles prevents the brush from too heavily redistributing product through the hair, minimizing frizz. If needed, gently finger rake within the section to further separate curls with minimal frizz. Repeat steps 2-6 until done. 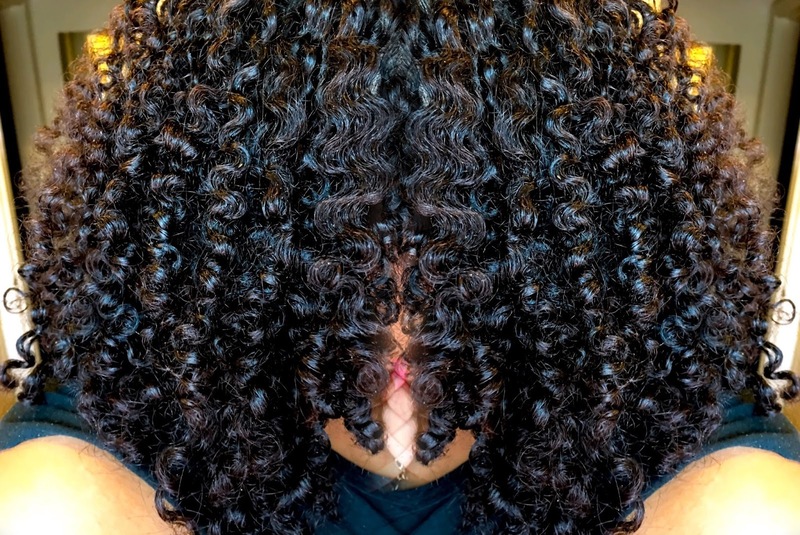 At this point, you can air dry, diffuse, hooded dryer it up - it's your choice. I'm an air dry type of gal, so that's what I do 99.98% of the time. 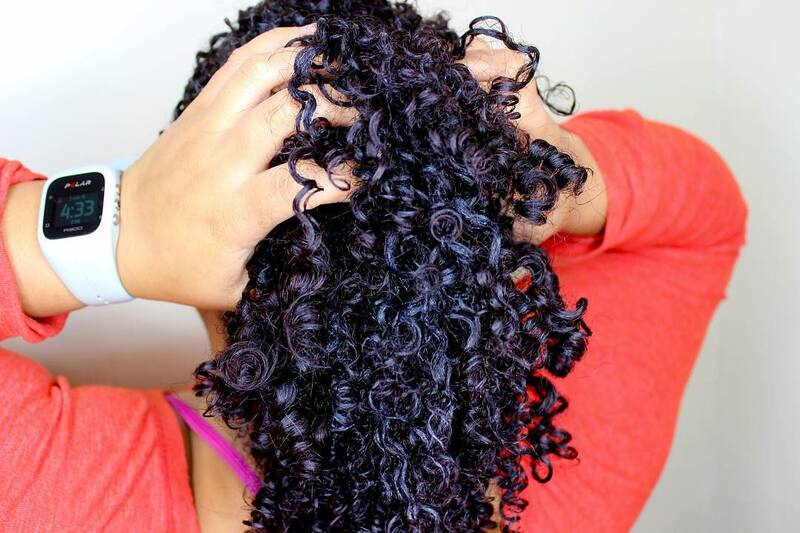 Fair warning - this method does produce legit more shrinkage than the Rake & Shake. I'll gladly take my shrinkage, because the curl definition is off the chain. 3rd day curls still poppin'! Will you be giving this method a try? Let me know in the comments below! I will be trying this soon once I get the brush and my protective style comes out. Promise to keep you posted. Hello, i read your blog occasionally and i own a similar one and i was just wondering if you get a lot of spam responses? If so how do you protect against it, any plugin or anything you can advise? I get so much lately it's driving me crazy so any help is very much appreciated.